« Thy will be done » is part of our Encouragement and Spirituality collection. This collection was created to offer you etche rings with a quote, a sentence or a leitmotiv which goal is to encourage you all day long. This ring will be on your finger to remind you that there will always be an answer whatever the situation you are coping with. These sentences are often words that helped me in my everyday life and that encouraged me to go ahead. And I also think that just as they helped me, these words will also have a special place in your heart and on your finger. Finish : shiny and slightly oxidized. I will need 5 days to make your order before shipping. 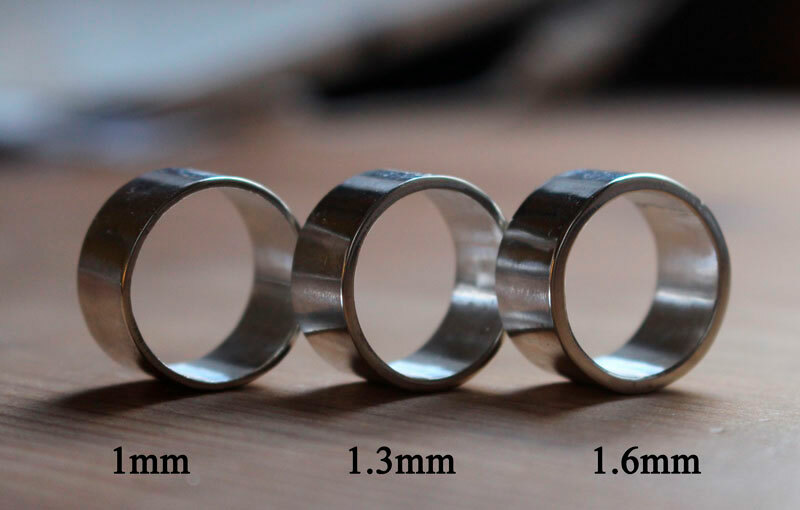 Thickness of the ring: this model can be made with thicknesses of 1 mm, 1.5 mm or 2 mm for a personalized order. For reference, go to the last photo of the slideshow. The ring thickness on the model is 1mm. Tag: ring, sterling silver, band, encouragement, spirituality, unique, spiritual, philosophy, engraving, sentence, quote, inspiration, modern, simple, gift, valentine, mother's day, birthday, custom order, motivation, courage, will, engraved ring, etched ring, word, life, battle.